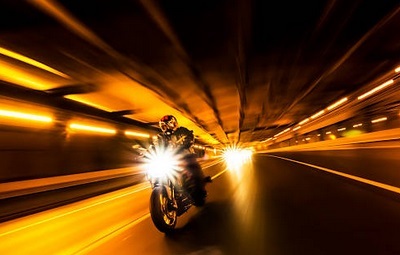 Riding your motorcycle at night can be one of the best experiences you can have as a biker. It can be an invigorating experience to slice and dice your way through the darkness while enjoying the peace and quiet on the road. You can feel the nice breeze as you drive through the different streets, and you will have the opportunity to enjoy the isolation. On the other hand, if you are driving in a busy metro area, you will have a completely different experience. While riding your motorcycle at any time can be enjoyable and exciting, it can also be dangerous at times. When the sun goes to bed, your vision will not be as strong. This means when your vision decreases, the vision of the other drivers on the road will also decrease. You will need to be aware and alert of your entire surroundings. Not only do you have to look out for yourself, but you will also have to look out for other drivers on the road as well. You should make sure you do not over-ride the headlights on your motorcycle. You will only be able to see what you shed light on. In order for you to avoid being in an accident or causing an accident, you will have to make sure you are able to see anything that can be a hazard so you will be able to avoid them when needed. Night driving glasses can significantly enhance the shapes that will form when the light is low. Night driving glasses can also block any glare that can impact your vision from all the headlights on the road. A great pair of night driving glasses will also allow you to see any animals that may appear. Even the best motorcycle riders will have some difficulties seeing everything at night. Since you will not have the light from the sun, your eyes will begin to adapt to the low light after the sun goes down. When your eyes are impacted by the artificial light sources, do you know what happens to your eyes? The impact is similar to the impact you experience before the sun goes to bed. Anything that illuminates artificial lighting will typically create a halo effect. The halo effect will look like fuzzy lighting formed in a circle. When the artificial lights are weak and if you have trouble seeing past the light sources, you will have serious problems that you may not always be able to avoid. The risks of driving at night increased for people who have to wear prescription glasses. One of the drawbacks of riding your motorcycle at night is the glare that is gathered by the prescription lenses. It will not matter if your lenses have been made of plastic material or glass material, you are going to need lenses that have the right technology to reflect various forms of lights. One of the great things about eyewear is that technology is constantly improving, and this means you will have a wider selection of lenses to choose from. These lenses will be equipped with everything you need to reduce your distractions on the road. Almost all motorcycle riders will wear motorcycle glasses or motorcycle goggles when they are riding their motorcycle. The motorcycle glasses will either be worn to correct vision problems or to protect the eyes. The lenses in your motorcycle glasses or goggles will not only correct your vision and reduce the impact of headlight glare, but the lenses will also protect your eyes from dirt, debris, or any other flying objects. 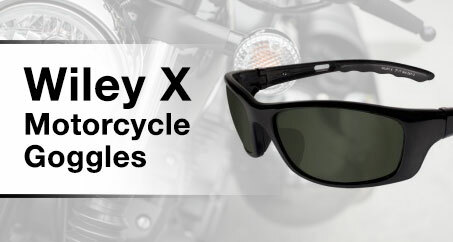 The glasses you wear when you are riding your motorcycle should have lenses that are shatterproof, lightweight, and made of polycarbonate materials. To reduce the glare that you can experience during various parts of the day, you should have polarized lenses. Orange lenses and yellow lenses can have an impact on clarity on the gloomy and dull days. When you plan to do plenty of night riding, you should make sure your lenses are non-tinted. Lenses that have a light-yellow tint are good for night riding, but you should avoid dark sunglasses. You can also consider using amber tones. Amber tones are great for helping you maintain clear vision even when you are riding in low-light areas and low-light conditions. Amber tones can also give you the protection you need against unexpected flashes of light and other forms of brightness, including the bright headlights of other vehicles. Amber-toned lenses will also increase depth awareness and contrast, and this will generally result in you enlarging your field of view. An amber tint in your lenses will also give you the ability to see clearly. An anti-reflective coating on your prescription lenses will eliminate the reflections of light you will see around your prescription glasses. Before you have an anti-reflective coating placed on your prescription lenses, you should make sure you have a conversation with your optometrist. An anti-reflective coating is generally suitable for high-index eyewear because high-index eyewear is usually susceptible to reflect more light than the plastic eyewear. High-index eyewear is generally worn by those who need a stronger prescription. An anti-reflective coating will make it easier for other people to see the expressions you make when you have the glasses on. When you do not have an anti-reflective coating on your lenses, other people may only see light reflecting off your glasses instead of your eyes. If you like for people to see your eyes when they are looking at you, an anti-reflective coating can do the trick. If you are uncomfortable wearing lenses with color during nighttime, you can consider having an anti-glare coating applied to your prescription lenses. An anti-glare coating will lessen the glare you will experience during the day. Not only will the coating less the daytime glare, it will significantly lessen the glare that you will generally experience at night. The anti-glare coating will mean that your lenses will be free of tint. We cannot stress enough how important it is to wear the right style of motorcycle glasses and having the right type of lenses. While you may want to make a fashion statement while riding, if the glasses do not fit you properly and are not the right style for your eye grade, you are putting yourself at risk. Do not harm your vision just because you want to look fashionable. The right types of lens technology and the right type of coating can help reduce the light reflections that can obstruct your vision at night. What type of prescription lenses will you choose?